If we go with the trends, then JDU+RJD+Congress alliance is going to make government in Bihar again. If these trends become results, then it will be a great shock for the BJP and Narendra Modi. 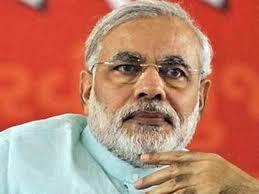 BJP was very confident of winning these elections based on the popularity of Narendra Modi. These trends also indicate that magic, alliance of JDU, RJD and Congress has worked and people of Bihar are somewhat unhappy with the policies of the BJP lead government at the center. Bihar Assembly 2015 will come to end today with the end of polling in the last (fifth) phase of the election. With this, we will also get the exit poll results from the various media and survey agencies. Though, the final results of the Bihar Assembly election 2015 will be available on 8th Nov, however, these exit poll results will provide some idea of upcoming results. The exit poll results for the Bihar will be available by 8 PM today. The Exit poll Results for the Bihar Assembly Election 2015 are showing mixed results with some showing win of BJP lead alliance and some showing win of JDU alliance. The edge is with JDU alliance because more numbers of exit polls are predicting JDU+ win as compared to BJP. Though, the Exit polls are highly divided and we will only get the final results on 8th Nov, 2015. One thing is clear from all the exit polls that fight will be every tight in Bihar and the margin of win will be very less. At present, Assembly elections are continuing in Bihar and on 8th Nov, 2015 we get the final results of these Bihar Assembly election 2015. As per all the exit/opinion polls, the fight in Bihar will be very tight and any alliance or party may win this election by slight margin only. Both JDU and BJP lead alliances have tried to fix the vote bank combination right for their alliance. The main eye in this election is again on Yadav-Muslim vote bank which has helped Lalu Yadav three times to win Bihar assembly election. One of the main reasons of JDU in going for alliance with RJD is its strong presence among Yadavs and Muslims. In Bihar, Yadav-Muslim vote bank accounts for 32% (16% Yadav and 17% Muslim). Now, this 32% vote bank has enough power to make or break the political party dreams. At present, it is not sure what will be the final trend in Yadav and Muslim voters; however, one thing is clear that if both decided to go for one alliance then no one can stop that political alliance from winning. BJP will never like that Yadav and Muslim vote bank units in Bihar and vote against it; therefore, they joined hands with many break-away Yadav leaders. We hope that people will vote for the right candidates, then choosing the candidates, which belong to their caste or religion. However, the Bihar elections are always notorious for caste based politics. In the last Loksabha election, we saw some change and only on 8th Nov, we will know that this trend is still present or not. As we are nearing the Bihar Assembly election 2015 so we are also getting updates of all exit polls, opinion polls and poll surveys done by various media channels. In Bihar the main election fight is between JDU-RJD-Congress allianace and BJP lead alliance of multi-parties. These political alliances clearly suggests that no political party was confident of winning these elections alone so they joined hands with like minded parties. In Bihar Assembly, there are 243 assembly seats and to make the government any alliance or party needs to winn 122 seats. I have all the poll surveys related to Bihar and they are saying one thing that there will be a tough fight on the ground. Some poll surveys have given the edge to BJP alliance and some have given edge to JDU alliance. However, in a nutshell, all exit polls suggest that there will be a difference of only 2-3% votes in the winning and losing alliance. Though, both alliances are confident of winning the Bihar Assembly election 2015. Bihar assembly elections will be held in five phases and the final results will be declared on 8th Nov, 2015. When we go by the opinion polls of IndiaTV (C-voter) and Zee News, then it looks that BJP lead alliance looks to have a narrow edge over the JDU lead alliance winning 122-132 seats. However, ABP news (Nielson) opinion poll, JDU lead alliance to get 129 seats. We can see a clear contradiction in the opinion polls about the final results of Bihar; however, all indicating a tough fight. Below, you can find the complete time and detail of the upcoming assembly election in Bihar. These are the last major elections this year and they will decide the future CM of Bihar. The main fight in Bihar is between JD(U)-RJD-Congress alliance and multiply party alliance headed by BJP. There is a total of 243 assembly seats in Bihar Assembly and any party or alliance needs to win 122 seats to make the next government in Bihar. Out of the 243 assembly seats, 38 are reserved for the SC and 2 for the ST. There is a total of 66826658 eligible voters in Bihar and out of them 100% have photo identity cards. For the convenience of voters 62779 polling stations will be made across Bihar. Bihar Assembly elections will take place in five phases and the final results will be declared on 8/11/15. Who will win Bihar Assembly Election 2015? By the end of this year, we will witness elections in one of the most important states of India i.e. Bihar. 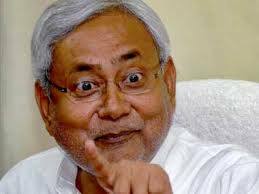 Bihar is a very crucial state of India because 40 Loksabha and 16 Rajya Sabha seats. 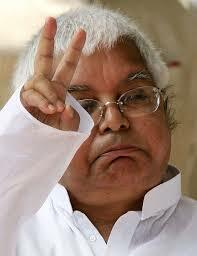 At present Nitesh Kumar of JDU is Chief minister of Bihar with the support of Lalu Yadav's party RJD. Bihar offers a big challenge to the Narendra Modi government at center because these elections will tell Narendra Modi's Karishma is still present or it has faded. These elections are also very crucial for the Nitesh Kumar and Lalu Yadav, who have come together to stop the BJP from winning Bihar Assembly election. There is a total of 243 assembly seats in Bihar and any political party or alliance will need to win 122 assembly seats to make next government in Bihar. In the 2010 Bihar Assembly election, BJP and JDU fought together and they clean swept the elections with a victory in 206 assembly seats. The BJP won 91 seats and JDU 115 seats while RJD was left with 22 seats only. However, JDU splits away from the BJP in June, 2013 before the Loksabha Election when BJP decided to make Narendra Modi BJP's Priministarial candidate. JDU continued its government with the support of Congress and independents. Bihar saw many political changes with Jitan Ram Manjhi becoming 23rd Chief Minister of Bihar for a short span of a few months. Later Manjhi floated a new political party Hindustani Awam Morcha after his split with JDU. At this crucial stage RJD helped Nitesh Kumar to again become CM of Bihar. Now both RJD and JDU have decided to fight these elections together and Congress will be part of this alliance. On the other hand, BJP, LJP and newly formed Hindustani Awam Morcha will fight together. The main fight is between these two alliances and one of them will win the Bihar Assembly Election. Both these alliances have their strong and weak points; therefore, we will see an interesting fight in Bihar. Politics in Bihar changes very fasts; therefore, we can see many new surprises till the election finishes and a new government is in power. Last year election predictions related to Bihar gave an edge to BJP alliance in polls; however, the situations are changing very fast at ground in Bihar; therefore it is very hard to exactly predict who will win these elections. In recently held Bihar Legislative Council election BJP won 13 seats out of 24 whereas JDU-RJD won just 10 seats. In general, we can say that the fight for Bihar Assembly is going to be tough and it will test on the ground that who is a strong leader among the people of Bihar. There is a good news for the AAP and a bad news for the BJP if we go by the exit polls. 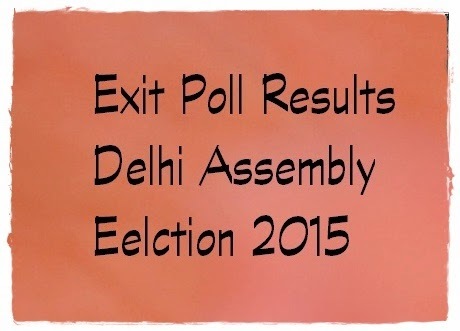 All exit polls have given a majority to the AAP in today held Delhi Assembly election 2015. BJP tried very hard to win these elections and it brought Kiran Bedi into BJP to tackle popularity of Arvind Kejrewal. If predictions of exit polls become true on 10th Feb, 2015 then it will be first major defeat for the BJP. As the per exit poll, AAP to 41% votes in Delhi Assembly election, which are 12% more than Delhi Assembly election of 2013. The BJP vote share is likely to remain 33% just one percent more than a last assembly election. As per the exit polls, AAP can get 35 to 55 seats in Delhi and BJP can get 20-30 and Congress just 0-4. In recent times, exit poll predictions have become quite accurate; therefore, this is clearly a worrying sign for BJP. It looks that BJP's strategies to defeat AAP have failed in Delhi. The final results will available on 10th Feb, 2015 and then, we will come to know that who is the real winner of Delhi. So far exit polls have made Arvind Kejrewal again CM of Delhi. Today, voters of Delhi voted for the next government in Delhi. 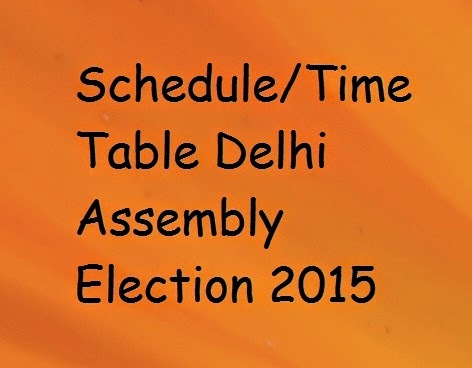 The counting of votes of Delhi Assembly election 2015 will take place on 10th Feb, 2015. Soon, exit poll results for the Delhi Assembly election will be available in front of us. The main fight in Delhi is between the BJP, AAP and Congress. There are total of 70 assembly seats in Delhi and Any party or alliance needs to win more than 36 seats to make next government. 63% voting in Delhi till 5 PM. All leading exit polls like ABP new, Zee News, Aaj Tak etc have given victory signals for AAP in Delhi Assembly election 2015. 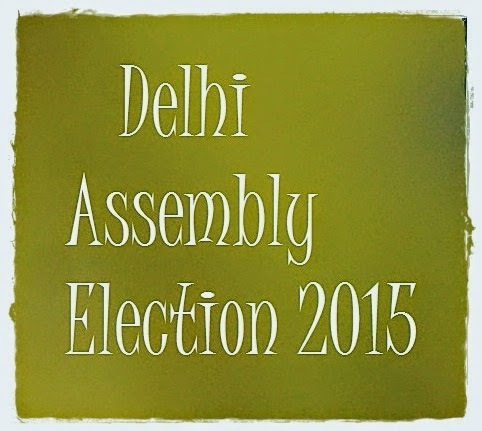 Though, the final results of Delhi Assembly election 2015 will be available on 10th Feb, 2015. Today, the election commission of India announced the dates of polls in Delhi and for Loksabha and Assembly By-elections. Voting in Delhi 2015 Assembly polls will take place on 7th Feb, 2015 and voting for BY-election will take place on 13th Feb, 2015. The counting of votes will take place on 10th Feb, 2015 for Delhi Assembly election and 16th Feb, 2015 for the By-election. In Delhi, there are total 70 Assembly seats and out of which 12 are reserved for SCs. The total number of voters in Delhi is 13085251. To conduct these polls free and fair, 11763 polling stations will be made in Delhi. In Delhi assembly election 2015 voters will get Basic Minimum Facilities (BMF) like drinking water, shed, toilet, ramp for the physically challenged voters and a standard voting compartment etc. People can call toll free number 1950 for any complaint regarding Delhi Assembly Election 2015. Delhi assembly elections are expected in next month this year. Last assembly election in Delhi took place on 4th December 2013. In this election, no political won a majority and therefore, we saw Aam Admi Party (AAP) for 49 days with the outside support of Congress. Delhi has a total of 70 Assembly seats; therefore, any political party or alliance needs to win 36 seats to make next government. In the 2013 Delhi assembly election, the BJP was the biggest party with 31 assembly seats, AAP won 28 seats, Congress 8 seats and others 3 seats only. 2013 Delhi assembly elections came as biggest setback to Congress party as it won only 8 seats after winning three assembly elections of 1998, 2003 and 2008 in Delhi. AAP was the biggest gainer in 2013 Assembly election, as it entered in Delhi assembly for the first time with 28 assembly seats. Now the biggest question in front of is that who will win the Delhi assembly election 2015. The main fight in Delhi Assembly Election 2015 will be between Congress, BJP and AAP. At present all political parties are claiming their win; however, the final result will tell who is going to make next government in Delhi. If we go by the trends of Loksabha election 2015, BJP looks to have an edge in the Delhi assembly election because BJP won all 7 Loksabha seats. Thought, lots of things have changed till the last Loksabha election. These elections present do or die situation for the AAP because if it failed to repeat or improve its performance then AAP will become very weak. For Congress, these elections provide a second chance to improve their chances; therefore, Congress is taking no chances and they have already started their election campaign. BJP is also not taking these elections lightly and they are planning to campaign in a big way to confirm win these elections. We also have few opinion polls and exit polls held in last months of 2014 which predict a clear edge for the BJP in the 2015 Delhi assembly election. However, the exact results of Delhi assembly election 2015 will only be available after the completion of the elections and then we will see who is the actual winner.